Build Your Customer Base with Email Marketing: How Should You Do It? Email marketing is vital if you are looking to build your customer base. How can you make sure you're taking the right approach? Customers are king in the world of inbound marketing. It is vital to treat them well if you want to secure the greatest rewards and build your customer base. A key way to manage customer relationships and build your customer base is through email marketing. The kind of modern email marketing championed by Flowbird can deliver impressive sales results. However, there are some things to remember whenever you adopt an email-based marketing scheme. Firstly, it’s important to realise the benefits of marketing via email. Web users like email. They use it every day. They can customise their inbox to filter out spam. It’s an instant way to communicate with suppliers. 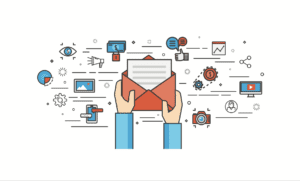 Email marketing is a must for companies that offer regularly updated services and want to establish long-lasting, dynamic relationships with their clients. Anyone adopting an email marketing strategy needs to ensure that the material they send to clients is of a high quality. We’ve all received communications from companies in our spam folder, even if those messages contained important information. That’s because the filters provided with email services flagged the content as spam due to its poor quality and generic nature. Writing content that clients can use will help to avoid instant demotion to the junk pile. This is crucial. At Flowbird, we can advise anyone marketing via email on how to encourage potential customers to click on your messages in the first place. Generally, about 80% of B2B emails will go unopened and be trashed immediately, so getting this step right is crucial. Choosing the right email subject line and time of send are important. If they have just signed up, it makes sense to interact immediately. Following this, good times to interact include after a customer makes a purchase or when you publish informative blog postings. With a sophisticated inbound marketing strategy, this kind of precise timing can allow you to tailor your emails to each unique customer and gradually build your customer base. What goes into your messages is just as important as how they are presented. Always identify who you are and why the message is important. The first couple of sentences should provide a friendly introduction and the service on offer. This lets the reader know that you are credible and worth engaging with. Humour can work well, but it can also be a huge turn off when establishing your credentials. Use it sparingly. Don’t waffle either. Use short, punchy sentences with value on every line. Also don’t forget to include a call to action and a way for the contact to interact with your company. Every email is part of the sales funnel and should connect to your sales pages with ease. Inbound marketing involves many disciplines, and using email is a vital component. Flowbird can provide expert assistance to any firms seeking to establish fruitful online relationships with their customers. Having regular email contact is a great way to achieve this. But it has to be done well, so consulting inbound marketing experts is the best way forward.